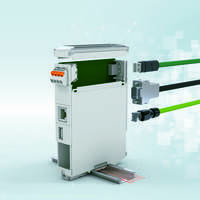 Smart Relay System eliminates need for standalone controller. 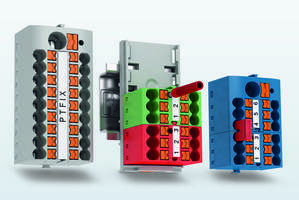 PLC Logic systemÂ houses logic inÂ module that plugs directly into block ofÂ 8 PLC Relays to create smart relay system. When connected toÂ 8 relays, complete system measures 50 mm wide. 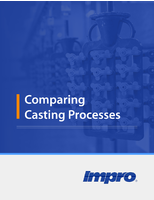 Each electromechanical and solid-state relay channel can be configured as input or output, from 16–48 I/O points, with the use of expansion modules. Logic modules haveÂ 8 integrated digital inputs,Â 2 of which can be defined as analog inputs (0–10 V). Hot-swap capability facilitates relay replacement. 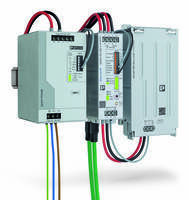 MIDDLETOWN, Pa. – Phoenix Contact’s new PLC Logic system combines basic programmable logic capability with the company’s PLC relays, creating a “smart” relay system. 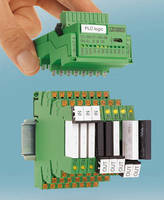 The PLC Logic system houses the logic in a small module that plugs directly into a block of eight PLC Relays. 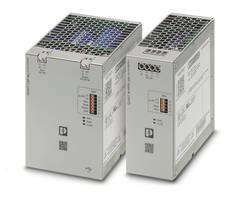 By eliminating the need for a standalone controller, PLC Logic saves space and simplifies maintenance. The pluggable logic modules are compatible with a wide range of Phoenix Contact’s electromechanical and solid-state relays and are available in various voltage ranges. 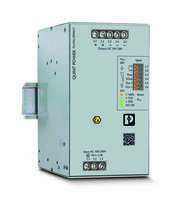 When connected to a set of eight relays, the complete PLC Logic system measures only 50 mm wide. Thanks to hot-swappable relay capability, individual relays can be replaced without shutting down the entire system. Each relay channel can be configured as an input or an output, from 16 to 48 I/O points, with the use of expansion modules. 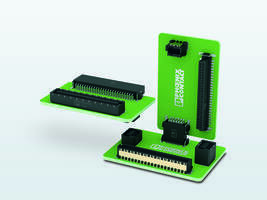 The logic modules have eight integrated digital inputs, two of which can be defined as analog inputs (0-10 V). 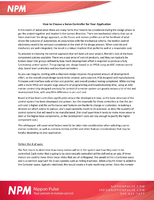 For more information, visit www.phoenixcontact.com/PLCLogic or call technical service at 800-322-3225, e-mail info@phoenixcon.com.